Addis Ababa (AFP) - African Union rights investigators have expressed "great concern" over an "escalation of violence" in Burundi after witnessing some of the heaviest fighting in the troubled country for months. A team from the AU-backed African Commission on Human and Peoples' Rights was in Burundi from December 7-13 on a fact-finding mission. "The situation of violence is of great concern... we received reports of ongoing human rights violations and other abuses including arbitrary killings and targeted assassinations, arbitrary arrests and detentions, torture, arbitrary suspension and closure of some civil society organisations and the media," the commission said in a statement. "Of equal concern... are also reports of people being forced to flee from their homes and the continuing flow of refugees, as well as social services such as schools and hospitals being seriously affected," it said. 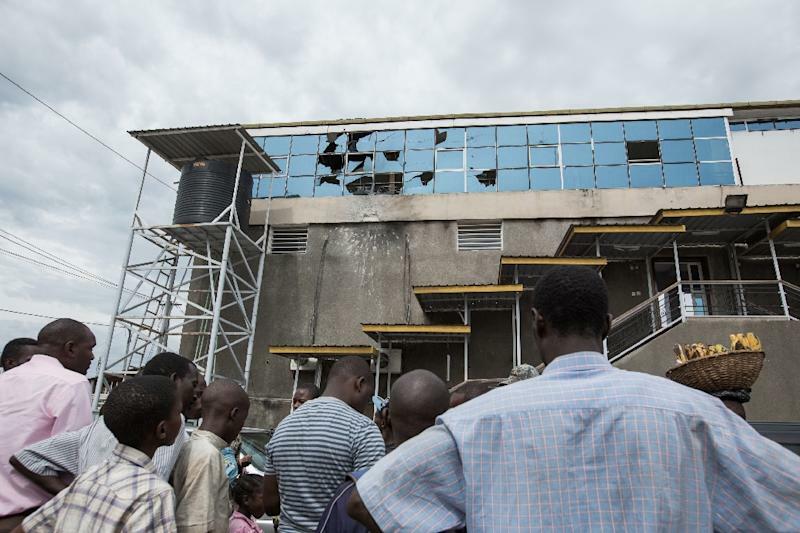 Investigators were in Bujumbura last Friday, where they witnessed the "eruption of major exchanges of gunfire, explosions and shootings" amid attacks on three military sites. Burundi's crisis began in April when President Pierre Nkurunziza announced his intention to run for a controversial third term, which he went on to win in July. Hundreds of people have since died, including 87 last week alone, and more than 200,000 have left for neighbouring countries. The AU investigators said the "crisis cannot be solved through the use of violence." UN human rights chief Zeid Ra'ad Al Hussein said Tuesday that Burundi could slide back towards civil war. A spokeswoman said Hussein was "deeply alarmed by the latest developments in Burundi's unfolding crisis."